I went shopping at Manor in Lausanne last week and I got lucky. Leaving in Switzerland means leaving …. km from the sea and that’s not always easy to eat seafood. This day I found periwinkles. I was so happy. I still remember the family dinner we had with my great gran parents when I was a child. This was the specialty of my great grandfather. He uses to make a huge batch for all of us. We were eating for hours and after coffee time while most of the adults were chatting, I was always going with my great grandfather to play violin. Try to play, because when I was five years old I had no idea how to play violin. I think I begin to play music because of him. Recorder, piano and then cello, I tried them all. So bad, I am not playing anymore but sometimes you have to choose your priorities in life and this is not easy to keep doing everything. 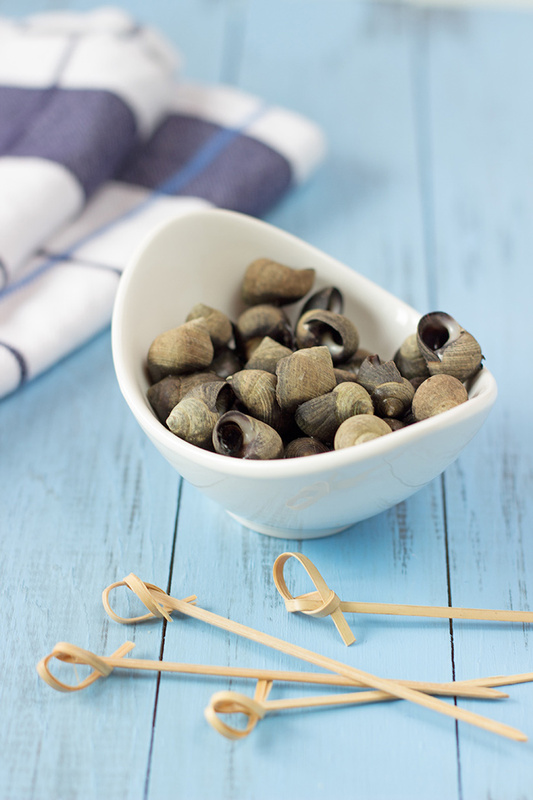 You will find below how to cook periwinkles. This is really easy and delicious with a home-made mayonnaise or aioli! 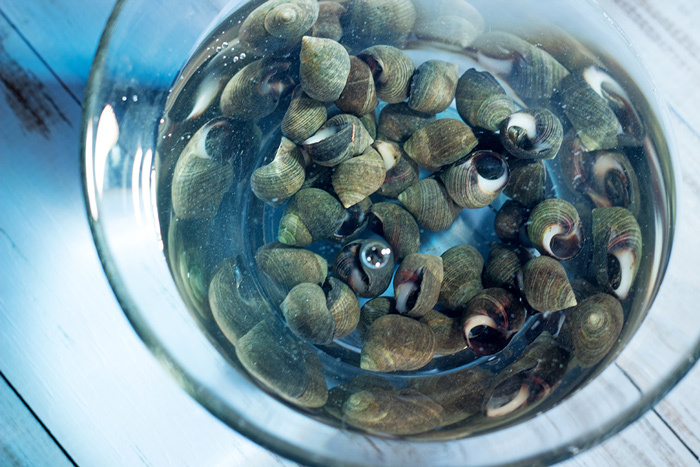 You should first rinse periwinkles several times in clear water. Then cook periwinkles in a court bouillon. 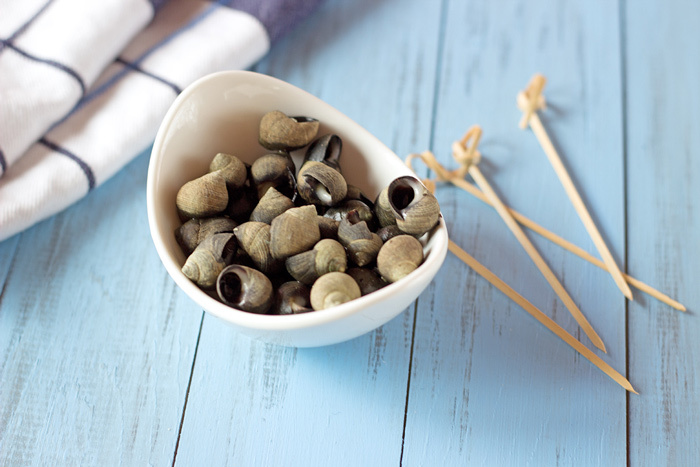 This periwinkles can be served as an appetizer or be part of a large seafood platter. Wash periwinkles several times in clear water. 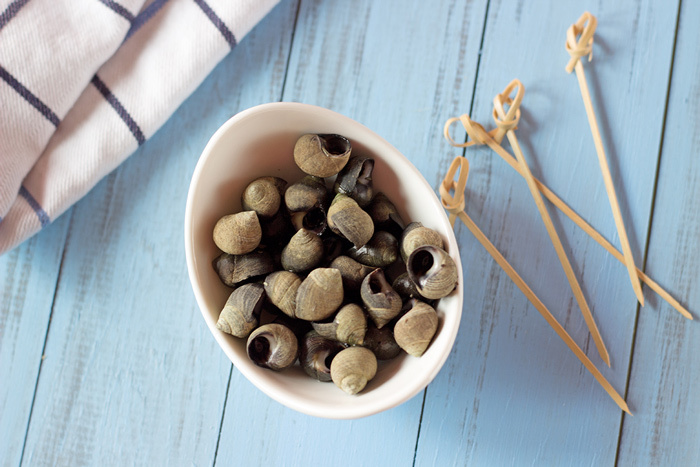 Put periwinkles in a casserole dish and fill with water. Add two teaspoons of sea salt, 1 bouquet garni and season with freshly ground pepper. 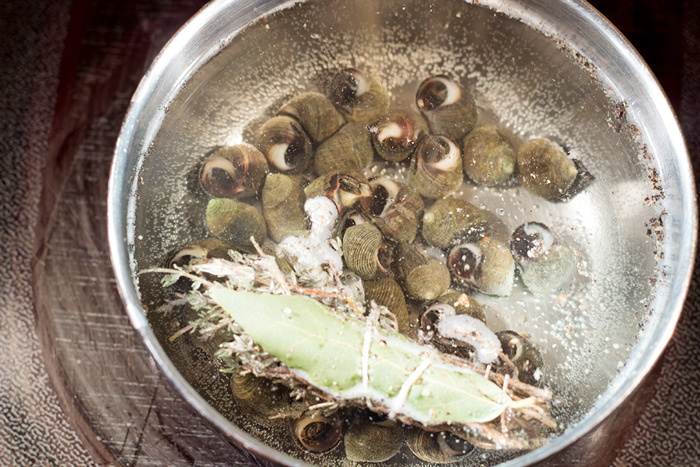 Leave to cool, so court bouillon will get enough time to flavour periwinkles. Thanks Bridget. They had it around Christmas; so let’s see!